www.trendingpopculture.com – NEW InvestComics Comic Hot Picks every Sunday! 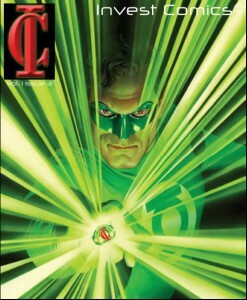 Welcome to the InvestComics Hot Picks for new comic releases on 10-24-12. Well some may have noticed the number in place of the date that usually appears within the title of the Hot Picks every week. The change is one of many to come down the pike. 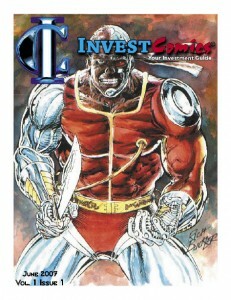 InvestComics will be changing things up a bit to coincide with the times and what people/fans want to SEE and read about. Don’t fret though; your favorite Hot Picks article every week will not be going anywhere! The numbering however brings back the “issue” feel back to things. The way InvestComics first started was in fact by the magazine issue numbering. So with that, we have gone back to the numbering. We will start with the #240. There are #237 Hot Picks within the archives as well as 3 actual print magazines which equals 240! Yay for adding! Here’s the thing though. Many Hot Picks articles were lost during a migration a couple of years ago to the NEW InvestComics website, but we aren’t going to cry over spilled urr…comics? We forge ahead! Here’s to the NEW InvestComics transformation! …And speaking of magazines. Before getting to a little word in on the New York Comic Con visit I’d like to thank owner of Mancave Playbabes Magazine Sid on a spectacular Launch Party that InvestComics was a part of in Miami Beach this past Friday night. Of course if you haven’t heard by now, I am writing an exclusive article each month that will appear only in the magazine. The Mancave Playbabes website has a spot just for InvestComics on it too! I’ll have original articles, Interviews and much more to appear there. It’s been a blast so far and the launch party was unbelievable. 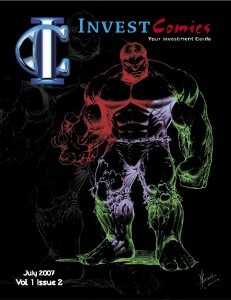 Check out some pictures on the InvestComics Facebook Page and also the Mancave Playbabes Facebook Page. The banner to the event had the InvestComics logo on it and it felt good to see it next to the other fantastic contributors to the magazine. 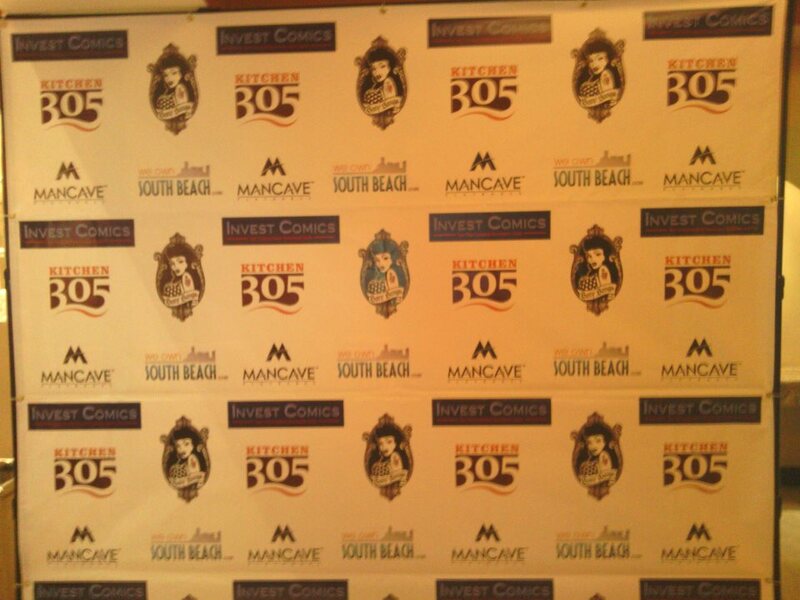 Take a look at the picture of the banner to the right. Yes it’s a good time to be with the InvestComics team and go Mancaver’s! Another year in the books, New York Comic Con 2012 can be described in one word; crowded. I cannot recall the show ever being as wall to wall as it was this year. The experience to be completely honest here was a bit unsettling. There was no comfort room, no space to move about on a “normal” basis. It’s a fantastic picture in the literal sense and adds up to big cash for the promoter’s, but it was a bit discouraging this year for the regular press person getting around from point A to point B. The biggest change came at the expense of the creators themselves. The guys and gals who have put the comic industry where it is today were put in a separate area all to themselves. The fans had to walk this long hallway to visit their favorite writer/artist/colorist/inker. Why was this done exactly? Not too sure, but after speaking to quite of few of them, the consensus was not of the good kind. Many of the creators felt a bit slighted and wanted to be in the “thick of it” outside in the actual convention hall. The same can be said here for the Independent publishers as well. They were put all the way on the side wall with 3 aisles. Aren’t we missing the understanding here that THEY too are a driving force of creating new innovative material that will probably be picked up eventually by some movie mogul in Hollywood? Yes we all do understand that Marvel/DC/Image and everyone else will get the main floor because they bring the most money, but it still doesn’t mean we all have to except the ineptitude feeling here. Yes fans get it, the Image Comics’ of the world will bring the most money, but they too were a small outfit at one time as well. Giving the creators a separate part of the show and the small publishers a side wall is truly showing how much the climate has changed here and how it’s been changing for years. Lest we forget the biggest kicker here…….the comic book dealers. They had a few aisles on the direct opposite side of the convention to the small publishers. These areas…….you could pretty much move freely. The “Comic Book” Conventions truly need to change the title of the shows to “Entertainment Conventions” because it’s not about comic books anymore. It’s about movies, television, celebrities and cosplay. Truth be told here, although cosplay is fun to look at and has become a main staple within the convention scene, it doesn’t equate to money. Yes they pay their ticket, get in and roam around playing with other cosplay people. They simply do not spend money at these shows. They make for great filler for photo ops, that’s it. One good thing regarding Artist Alley, it worked out better in regards to movement. The aisles were wider so it was easier to find your way through to your favorite’s and explore talents one was not familiar with before. All in all a nice show. Lots and lots of eye candy both figuratively and literally (for the fanboys). If you are claustrophobic, have any sort of anxiety issues, this place is definitely not for you. If you like the glitz and glamour of Hollywood, the Vegas style in a New York Atmosphere, then this is a place for you. It’s Circus Du Soleil of the Comic Book Conventions. Not that this is a bad thing, just don’t go expecting too much about………comics. Yes things have changed and depending on how you want to look at it or who you talk to, it’s got its good points and not so good points. So with that, as spoken about at the beginning of this article, the InvestComics website will see some changes too probably, but that’s a discussion for another day. And of course as always there will be lots of great videos/picures forthcoming from the show, so look out for that! For now though, go to the InvestComics Facebook Page and check out some picures from the NYCC 2012. Be sure to check out me out on tonight’s Podcast; Independent Road with Peter Palmiotti. Click the underscore title and call in! Don’t be shy! Now let’s get to the Hot Picks! There are 10 number one issues coming out this week. Looks like the numbers game will never change. Slab the number one on a new comic book and it instantly becomes appealing. Not to be outdone though is Chew #30 with its triple gatefold cover this week. Ah yes, the 90’s didn’t seem that long ago has it? Oh yes and the die cut Batman comics. Boy oh boy……Anyways…. DC’s wildly popular Talon gets his own comic Talon (2012 DC) #1, while the Madame gets her own title National Comics Madame X (2012 DC) #1. The Madame’s original appearance first came in 1978’s Doorway to Nightmare #1. Moving right along to the Marvel side of number one issues this week we have A-Babies Vs X-Babies (2012 Marvel) #1. This comic marks the first appearance of the Avenger Babies, but the first X-Babies appeared in Uncanny X-Men Annual #12 (1988) with cover art from Art Adams! Now we arrive to the question marks of the week. Wolverine Max (2012) #1 and Punisher War Zone (2012) #1. Another title for these two? Another number one issue? How many times are we to go down this road exactly? Wolverine will be “uncensored” and tearing people apart in the Max series. Who cares? Really. Been done before, nothing new here. Same with the Punisher War Zone. War Zone was first started up in 1992 with John Romita Jr. at the helm. And didn’t that have a die cut cover?? Oh yes it did! Let’s get to some regular issues here before heading back to the number one issues with the Independents. All Star Western (2011-) #13 features the origin of the new Tomahawk. Find his first appearance way way back in Star Spangled Comics #69 (1947). Good luck trying to find a near mint copy of that black cover! Fury of Firestorm (2011-) #13 brings on new writer/penciler Dan Jurgens which is very awesome. With him he brings a villain named DataXen. It only took 13 issues into the new Superman series to include the words “death of” within its solicit. Superman (2011 3rd Series) #13 features the death of……(who cares?!). And not without flare for dramatics do we leave out Marvel of course! Avengers (2010 4th Series) #32 promises to set the internet abuzz! Okay……let’s see what this will bring. Yawn. At least we have a new villain to look forward to in Secret Avengers (2010 Marvel) #33. New villains and heroes are always a lot of fun to check out! On the independent front we have quite a few number one issues to check out. Probably the most interesting of the bunch is Killogy (2012 IDW) #1. Then you have Bravest Warriors (2012 Kaboom) #1, Chosen (2012 Dynamite) #1, Multiple Warheads Alphabet To Infinity (2012) #1 and the latest in the world of the Walking Dead craze in magazine form this time in Walking Dead Magazine (2012) #1. Last thing to speak about this week is Todd McFarlane’s continued reign on the cover nods of yesteryear. Check out Spawn (1992) #224’s tribute to Miller’s Dark Knight. This is all for now…..check out the covers of the week below. See you next week, invest wisely. Next Iron Man 3 – Official Trailer! Something cool about Wolverine Max #1 is if you compare the cover to the leaked Wolverine 2 movie poster. They are very similar.